POLSON — Daphne Pearl Peasley was born on Dec. 31, 2018, at the Nesting Place in Providence St. Joseph Medical Center. She was 20 and one-half inches long and weighed 8 pounds, 6 ounces. 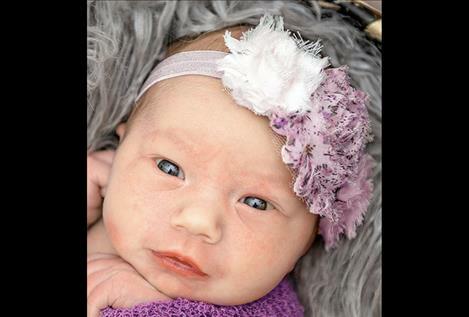 Her parents are Sandra and Chance Peasley of Polson. Daphne has a big brother, Wyatt. Maternal grandparents are Kelly and Scott Stewart. Paternal grandparents are Mel and Wade Peasley. POLSON — Everett James Spillane was born on Jan. 17, 2019, at the Nesting Place in Providence St. Joseph Medical Center. He was 20 inches long and weighed 7 pounds, 4 ounces. Everett’s parents are Brianna and Jacob Spillane of Polson. Everett has a brother, Daniel. Maternal grandparents are Dori and Randy Bock. Maternal great-grandparents are Sue and Jerry Pierce and Esther Bock. Paternal grandparents are Pam and Sean Spillane. Paternal great-grandparents are Jean and Ron Stoker. RONAN — Layanna Katherine Gopher was born on Jan. 14, 2019, at St. Luke Community Hospital. She weighed 8 pounds, 11 ounces. Parents are William R. Gopher and Celestina Bonilla of Pablo. Paternal grandparent is Michael Gopher of Spokane, Washington. Maternal grandparents are Mechelle and Robert Davis of Auberry, California. POLSON — Madeline Jade Charlo was born on Jan. 15, 2019, at the Nesting Place in Providence St. Joseph Medical Center. She was 20 inches long and weighed 7 pounds, 7 ounces. He parents are Emma Clampett and Robert Charlo of Pablo. Madeline has an older sister, Memory. Maternal grandparents are Deanna Cooper and Carl Clampett. Paternal grandparents are Zelda and Charlie Charlo. 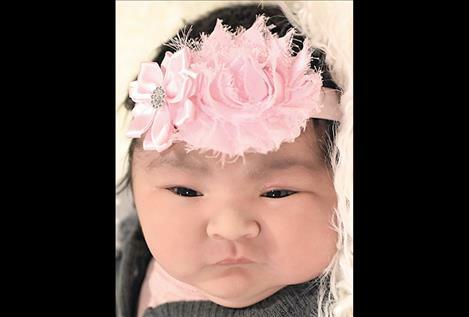 POLSON — Andrel, Arayan and Zeivien Anderson welcome their baby sister, Nystara Moon Dreamer Peltola. Nystara was born Jan. 14, 2019, at the Nesting Place in Providence St. Joseph Medical Center. She was 20 inches long and weighed 7 pounds, 7 ounces. Nystara’s parents are Sara Anderson and Bart Peltola of Hot Springs. Maternal great-grandparent is Jackie Anderson. 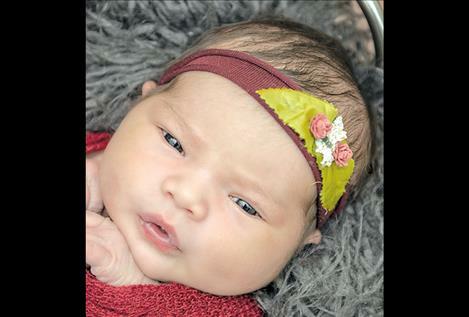 POLSON — Rynley Christine Morigeau was born Jan. 11, 2019, at the Nesting Place in Providence St. Joseph Medical Center. She was 21 and three-quarters inches long and weighed 7 pounds, 14 ounces. Rynley’s parents are Tamberly Wagner and Kody Morigeau of Polson. Maternal grandparents are Lisa Spotted Wolf and Jennifer and Tony Wagner. Paternal grandparents are Diane Matt and Chuck Morigeau. 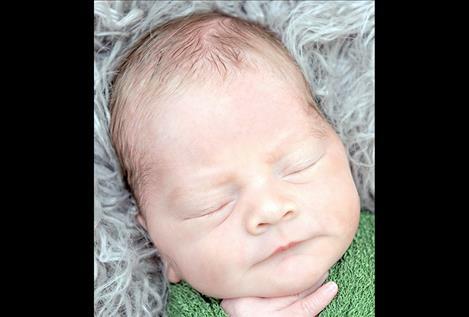 POLSON — Walker Wade Nelson was born on Jan. 11, 2019, at the Nesting Place in Providence St. Joseph Medical Center. He was 20 inches long and weighed 6 pounds, 8 ounces. 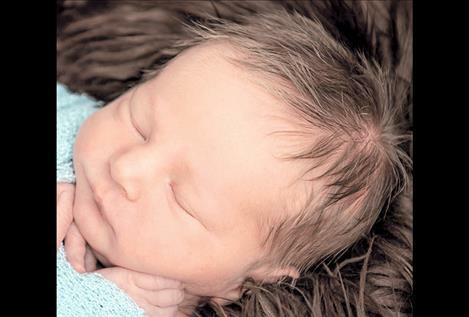 Walker’s parents are Becky Lynn Ashley and Jeremy Nelson of Polson. Walker has two brothers, Hartlin and Cordell. Maternal grandparent is Dorene Bourdon. Paternal grandparents are Debbie McCauley and Dagrl Nelson. Paternal great-grandparents are Jeanie and Wayne McCauley. 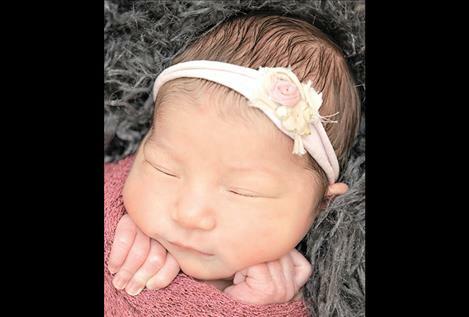 POLSON — Winter Marie Bates was born Jan. 9 at the Nesting Place in Providence St. Joseph Medical Center. 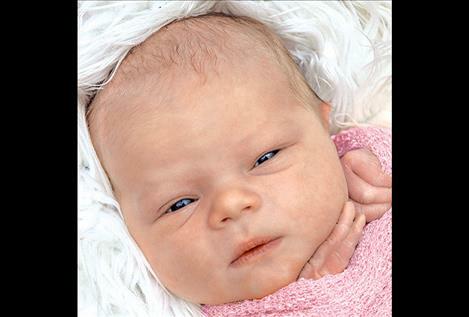 Her parents are Breana Harlow and Zachery Bates. Winter’s sisters and brothers include: Starleena Big Leggins and Legend and Kayla Bates. Maternal grandparents are Judy and Benjamin Harlow and Dan Andrew Jr. Maternal great-grandparents are Ernest Sorrell, Raymond Harlow and Margaret Harlow. Paternal grandparent is Deanna Bates. Paternal great-grandparents are Barbara and Patrick Thompson.